Listed companies here still have some way to go before they comply with the latest Code of Corporate Governance guidelines on executive pay disclosure, going by their most recent annual reports. Disclosures in three new areas are required by the Code: the exact amount of CEO pay, the link between corporate performance and executive pay, and the names and relationships of pay consultants hired by the company. This applies for annual reports for financial years beginning from November 2012. But some of the biggest companies here are still not making sufficient disclosures even in areas where the old corporate governance code was in effect, said Kevin Ong, director of executive compensation for South-east Asia at human resources consultancy Towers Watson. "As pay levels go up, shareholders and other stakeholders are even more keen to scrutinise how executives are being paid," he told The Business Times in an interview. "Better transparency and disclosure will help them better understand how well-aligned executives are with their interests, particularly how executive pay is tied with appropriate performance metrics," Mr Ong said. Based on the latest annual report disclosures, Mr Ong noted that Jardine Strategic and Jardine Matheson, both Straits Times Index components, did not disclose anything about the pay of their CEO, non-executive directors and top five executives as mandated by the 2005 Code. Meanwhile, other blue chip companies disclosed executive pay in varying degrees of clarity. At the top were companies such as SingTel, Sembcorp Industries and Sembcorp Marine, which disclosed to the actual dollar the pay of the CEO, non-executive directors and top five executives. UOB and City Developments, meanwhile, disclosed just the pay of their non-executive directors to the actual dollar. CEO pay was disclosed in bands, while the pay of the top five executives was not disclosed. "One common argument against disclosure is that it encourages poaching. But this is not a good reason. If a company wants to poach someone from another company, a rough gauge of how much he earns is easily obtained from headhunters or even the individual himself. "If I wanted him desperately, I don't need to know his exact pay in the first instance. Besides, pay is not the only reason executives move," Mr Ong said. 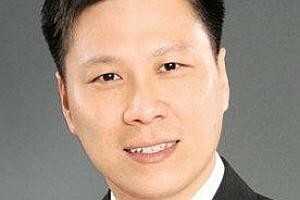 Kevin Goh, director of executive rewards at management consultancy Hay Group Singapore, said that the consultancy did a study last year on 300 listed companies on Singapore Exchange. About 11 per cent, or 36 companies disclosed the exact CEO pay in their annual reports - putting them in compliance with the latest code. Most of these companies are large-cap companies. A further 250, or 79 per cent of companies disclosed their CEO pay in bands of $250,000, in compliance with the old guidelines. And 30 companies, or 9 per cent disclosed their CEO pay in an open-ended fashion, for instance, $1 million and above. "This disclosure did not provide enough information for investors to assess how much the CEOs are actually paid and it did not comply with the old Code," he said. SGX queried some high-profile companies - including Noble Group, Osim International, KS Energy and Sakae Holdings - on pay disclosure earlier this year. Companies here are on a "comply or explain" regime on the Code. This means that if they do not comply, they are required to explain why not, or they will get queried to remind them to do so. Meanwhile, Mr Ong said that the linkage between pay and performance can be explained better beyond textbook, with non-specific answers such as "comprehensive performance methodology" or "balanced scorecard methodology". "A large part of the pay package is variable. So explaining how the system works is important," he said. Mr Goh said that most companies have not disclosed information on performance conditions chosen for top executives' bonus and long-term incentives, or why these conditions are selected, and whether these conditions are met in the financial year, as required by the new code. "This is an area of disclosure where most Singapore listed companies need to work on," he said. The lack of disclosure could be because the companies do not have an established key performance indicator (KPI) system in place, with variable pay based on board or management discretion. These companies need to establish KPIs for top executives and link the KPIs to the reward system, he said. Companies that have a KPI system in place need to justify the chosen performance conditions, and more importantly, justify if increases in top executive pay are aligned to company performance, he said. As for disclosing who the compensation consultant is, Mr Goh said most companies are not practising this currently, but more are expected to comply next year. Mr Ong said that it would yield multiple benefits. Consultants can be kept on their toes when offering advice to companies. Remuneration committees would also be more mindful of the choice of consultant, he said. He added that remuneration committees should consider and disclose if the following areas are considered: whether the consultant is overly dependent financially on the engagement or engagements with related companies, whether he has any personal or other business relationship with any director or executive, what other services the consultant is providing to the company, and whether the consultant holds substantial equity in the company.